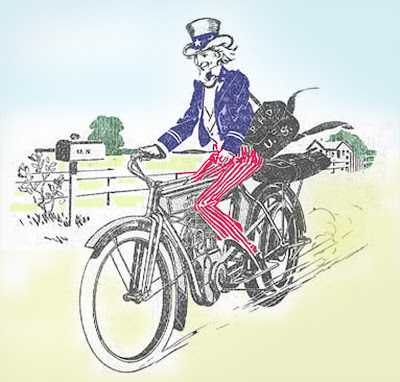 Uncle Sam delivers the mail on a vintage motorcycle. Independence Day is the United States federal holiday that celebrates the adoption of the Declaration of Independence on July 4, 1776. The date is important because it marks the first and last time the Congress of the United States agreed on anything. Sorry, just kidding. 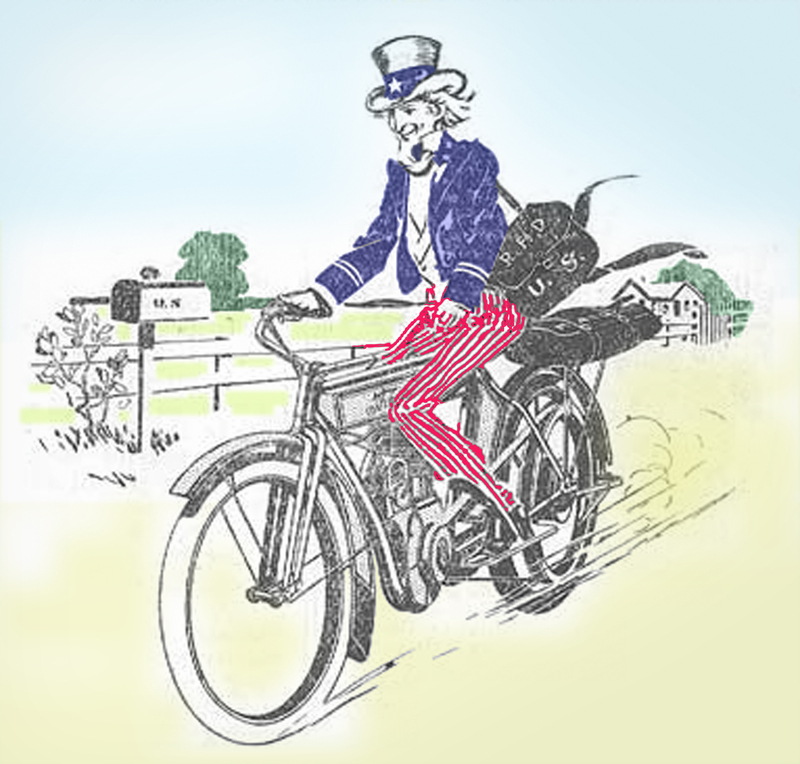 In fact we know the exact date is important because the Fourth of July is one of the few federal holidays that have not been shuffled off to the nearest Monday so as to make a three-day weekend for federal workers. Can you name the others? Well, Christmas and New Year's Day are both federal holidays, and are celebrated on the day of the week on which they fall. Not so the birthday of Martin Luther King Jr. We know he was born on Jan. 15, 1929 but his birthday gets celebrated on the third Monday in January, regardless of the date. We have no certain idea on what date Jesus Christ was born, but His holiday is Dec. 25th no matter what day of the week that is. Religion has not much to do with it. The federal government ignores Easter (luckily it's always a Sunday anyway), a more important day than Christmas on the liturgical calendar. Inauguration Day is Jan. 20 every four years. The president takes the oath of office on the 20th regardless, but if it falls on a Sunday workers get Monday the 21st off anyway. Thanksgiving Day is always going to be the Fourth Thursday in November, never mind the date. Most Americans see this as ideal, since it neatly makes a four-day weekend if you call in sick on Friday. Some Americans prefer working on the Friday since their annoying colleagues typically skip work. Veterans Day is November 11, the day the guns fell silent in the Great War. Veterans won a victory here when the decision to celebrate it on the final Monday in October was overturned after a brief trial.